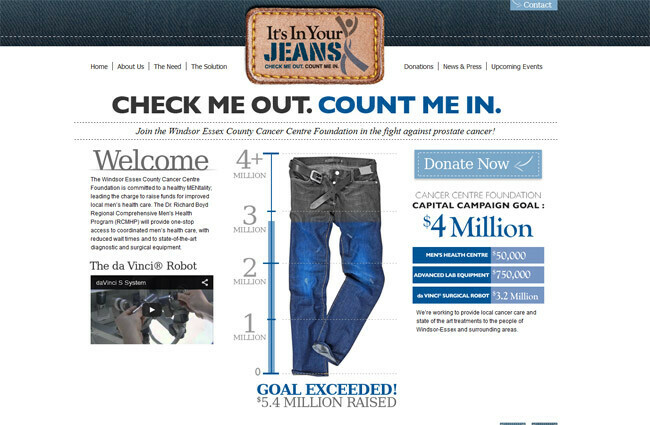 Douglas Marketing Group is pleased to announce receiving a 2012 Cancer Awareness Advertising Award CAAA, GOLD: Website category for the design and development of the http://www.inyourjeans.ca campaign in the Foundation/Fundraising group. Judged with industry leaders from around the globe, the website rose to the top of this international competition. 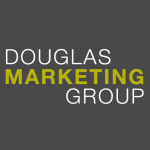 Douglas Marketing Group has been working with the Windsor Essex Cancer Centre Foundation for its past 2 successful capital campaigns. The current “It’s in Your Jeans” campaign brings awareness and highlights the importance of men’s health in taking a progressive approach to prostate cancer. The campaign was launched in June 2012, and is raising funds for the program, research and a DaVinci robot. The website and creative engages all target audiences and educates them not only in the campaign goals, but also the fact that prostate cancer affects the men of the community. It is a collective approach to awareness that will increase success rates with early detection and treatment. An online barometer and mobile donation form facilitate reaching the donors where they are. “This recognition is important to DMG and the region, as it positions the work that comes from Detroit-Windsor as ‘Golden’ in the Global Marketplace. The rise of the creative class, linked with technology builds our reach and recognition as leaders in re-creating who we are. Taking exceptional and efficient tools forward in all sectors affects the change we seek. Everyone wins when we have healthier communities that are supported to reach their goals in improvement”, says Kay Douglas, President, DMG. 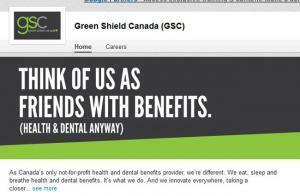 “DMG is proud to be at the forefront of web design and to make that count for the clients we serve. We are honored to be a part of the team that helps the Windsor & Essex County Cancer Centre Foundation reach their goal”, says Liz Farano, Vice President.